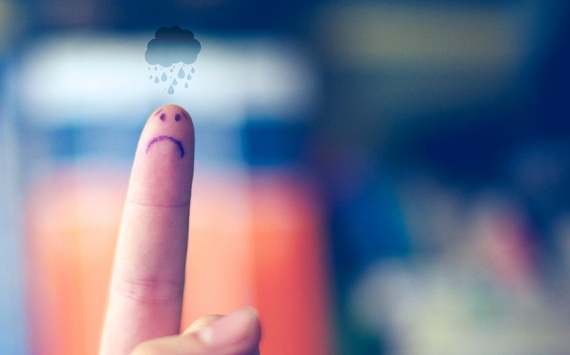 No matter where you live and what you do you are bound to feel stress throughout the day. You hear a loud noise, a car drives by you fast, a simple argument with your partner… it’s a normal thing for your body to get stressed. It’s an instinct, a program that kept humanity safe from outside danger since the dawn of man. However, most stress accumulates because of psychological factors like over thinking. You need to fly with a plane, you have a job interview or you have to give a public speech and there is your mind, racing to imagine bad scenarios and fill you up with emotions of unease. There is no real danger here, but your mind tends to create imaginary scenarios with danger and you feel stressed. This mechanism is a consequence of how humanity used to live. We were surrounded with danger and in order to survive we had to be always on edge. However, today in all probability, there will not be a lion attacking you on your way to the store. So this stress is unnecessary and we need to learn how to manage it. Because most of the stress that we feel throughout the day comes from psychological factors we have the opportunity to control it. To manage stress we need to understand the core of stress. Stress comes from needing something to come out a certain way that we feel that we can’t control and worrying it will end badly. That’s it. That’s all that psychological stress is. This sentence gives us the 3 levers of stress that if we learn how to pull down we can eliminate stress ANY time and in ANY situation. Let’s say that you go on a job interview. You stress because your mind makes you think that you NEED the job. The reality is that you don’t, even if you don’t have money to pay your rent, even if the job you apply for is your dream job. You want the job, but you don’t NEED it. You need money perhaps, and you’ll see, there are MANY different ways to attain money if you shift your focus outward towards the bigger picture. It goes the same with your dream job, you’ll find many different opportunities, maybe even better ones. You’ll find ways to create your own dream job. Feeling that you NEED something narrows your focus for your own good. Imagine if you need to find water to survive and you start focusing on the bigger picture. Not a great survival tactic. A great technique to get rid of the feeling of NEED is “Tree Planning” – Imagine the worst scenario and play it out in your mind. Thinking of all the alternative routes that you will take if something goes bad. You’ll realize that you can deal with that worst scenario and there are always other ways of reaching your goal. The sole thought that there are things we cannot control gives us stress. It means that no matter what you do there is nothing you can do to change a situation. This is probably the heart of stress. Eliminating this feeling goes a long way. How do we do this? By accepting it. 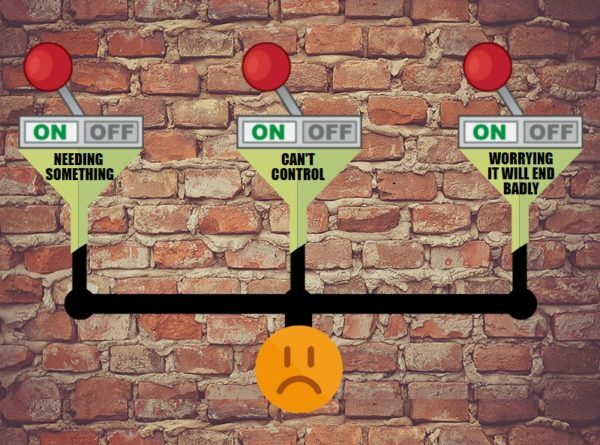 When we accept that there are certain things we cannot control we take back control of the things we actually can. You cannot control the decision of the guy who needs to hire you, but you can control the worth you’ll express. Not caring about what other people think gives you a room to be yourself without limiting what you bring to the table. And this, in most cases, is the extra element that will give you what you aim for. 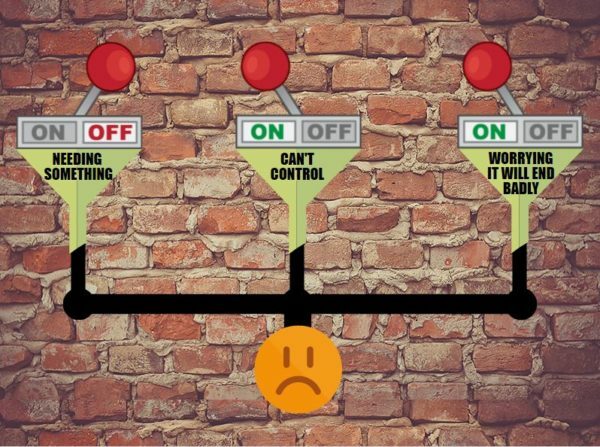 A great technique for getting rid of this CAN’T CONTROL feeling is “Lock N’ Loaded” – Imagine all the things that are in your control and you can manage, tweak or use. By doing this you get yourself an arsenal of things you can really control and if you play these cards right there is not a single goal you cannot achieve. It destroys the feeling of powerlessness to control something. Worrying is in our nature. If you care about something it’s completely normal to worry. But sometimes we worry just for the sake of not feeling optimistic. 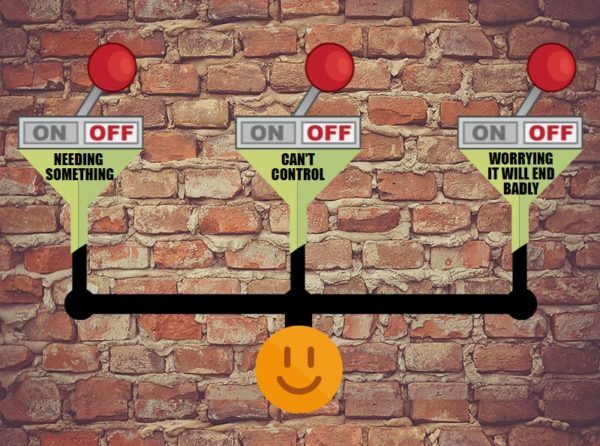 If something is outside of your control what’s the point of worrying. This is the essence of stress. Stress is a normal part of life. There is one part of stress which comes from the outside and this part we cannot control, we need to let it slide because it really is a normal thing. If we don’t give too much meaning to this kind of stress it will fade. There is another part of stress which comes from a psychological factor and this type of stress we can learn to manage. Psychologists and many other scientists say that excitement is the evolved and positive level of stress. Our body is actually healthier when we feel excitement and the difference is all in how we interpret what’s happening. Psychologically it’s all the same. The only difference is courage. We feel stress when we try to avoid and run away from something. Excitement comes when we bravely march towards what we want despite the stress. That’s when stress evolves and becomes positive. 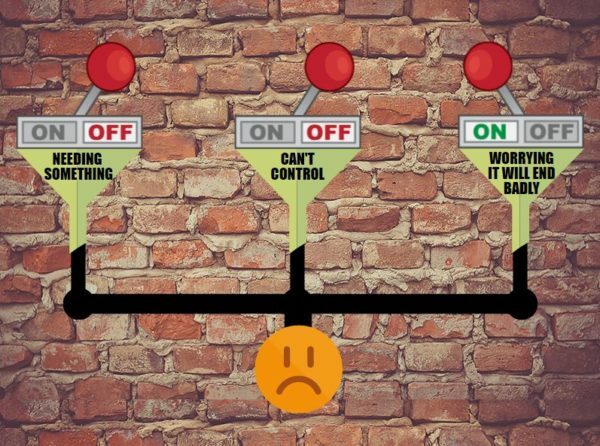 You can always manage stress by pulling down its 3 levers. And if you do this effectively stress will become something that no longer matters to you.